Marriott International plans to grow its footprint across Africa, increasing its portfolio by 50 percent with more than 200 new hotels by 2023. The announcement follows five new hotel signings across the continent, in Ghana, Kenya, Morocco and South Africa, and marking the company’s entry into Mozambique. Marriott estimates the five new projects will drive an investment of over $250 million by the property owners. According to Marriott, strong demand for select-service brands and conversion opportunities are driving the growth momentum for the company. Recent conversions to Marriott’s brands include: Four Points by Sheraton Nairobi, Hurlingham; Four Points by Sheraton Arusha; The Arusha Hotel, Tanzania; and the Mena House, Cairo, which joined the Marriott Hotels and Resorts global brand portfolio earlier this year. Among new conversion deals, Marriott has signed the Marriott Marrakech Hotel in Morocco (pictured above). With more than 360 rooms, the hotel is slated to be rebranded in 2020. Select-service brands are also in high demand, according to the company — including Four Points by Sheraton, Protea Hotels by Marriott, and AC Hotels by Marriott — with “vigorous expansion” in both mature and emerging markets. The company expects to introduce other select-service brands — like Aloft Hotels, Element, Courtyard by Marriott, and Residence Inn by Marriott — with hotels already under development. It is also looking for opportunities to bring Fairfield by Marriott to the continent. Marriott International has signed two new airport hotels under the Protea brand: Protea Hotel by Marriott Accra Kotoka Airport; and Ghana and Protea Hotel by Marriott Nairobi, Kenya. Other chains have recently announced African expansion plans, as the economies of various countries strengthen, including AccorHotels, which revealed a $1 billion investment plan for expansion on the continent; and Hilton, which is on track to more than double in size in the next five years. 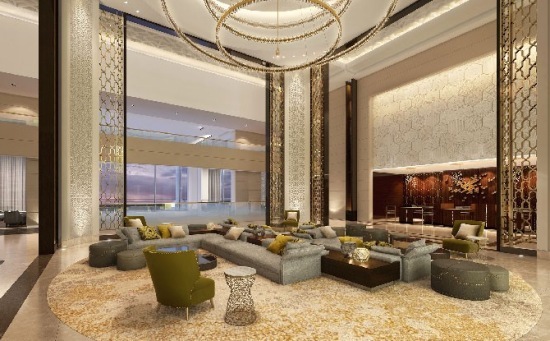 In fact, just this week Hilton announced the opening of its Legend Hotel Lagos Airport property, the company’s first Curio Collection by Hilton hotel in Africa. The hotel is adjacent to Murtala Muhammed International Airport, which serves more than eight million passengers per year. Hilton said it is also seeing strong demand for its brand across the continent and expects to open eight hotels in total across Africa this year, three of which will fly under the Hilton Garden Inn flag.